So, how has your New Year been so far? How many resolutions have you made and broken? I’ve broken all of them. Even the ones that I didn’t make. It’s not so much a resolution but I have decided to give up alcohol until after I’ve run the marathon. I need any psychological advantage that I can get, no matter how small. And guess what I keep thinking about? Yes, having a glass of something fizzy – which is ironic because I’m really not much of a drinker at all. Clearly that’s why diets don’t work. Deprivation is not good for the psyche, or the soul. 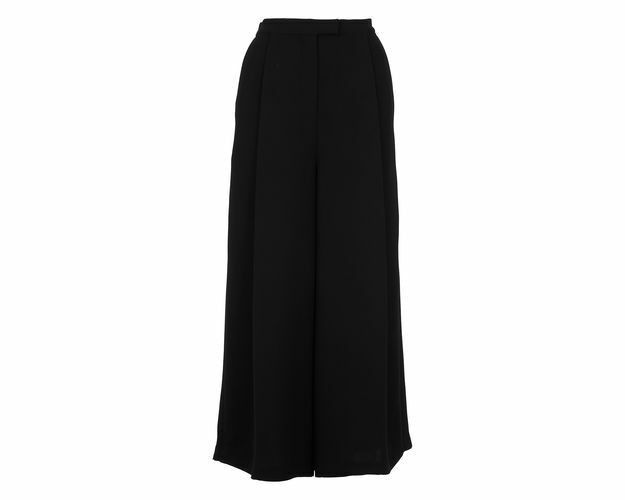 Anyway, that aside, it suddenly dawned on me yesterday like a flash from a higher place, that a pair of these wide legged cropped trousers from Whistles would be a really good addition to my wardrobe. I saw them before Christmas and they’ve obviously been lurking around in my sub-conscious since then. I recognise that I am very fortunate in that I have enough clothes and so I’m only going to buy things if they are really different to what I own already. And these are. I nipped into town yesterday morning, Christmas money in hand, to see if there were any in my size and there weren’t. 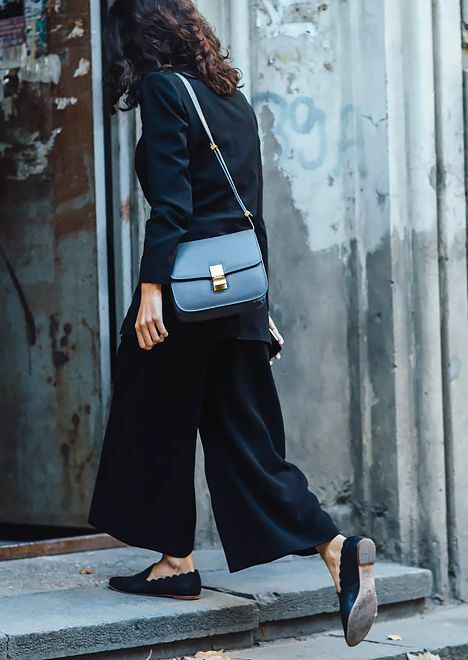 I could have managed with the size 10 but because they were too big on the waist, they sat too low on my hips making them look more like trousers that were slightly too short, which given their name (cropped trousers) is almost certainly what they’re meant to look like. But I just wanted them an inch or so shorter, so that they looked more like a long skirt (and slightly less clown like). Obviously research needed to be done to establish that these were worth the investment (I say that in the loosest sense of the word) and so I wandered over to COS to see what they had. Their selection was really good but most of them still fell at that funny length on me, apart from these wide leg jersey trousers (£59). I don’t think that these images are selling them very well at all – so let me explain! For a smarter look I could go with my high neck lace blouse with a bow, which I finally managed to get around to ironing, plus some heels. I like how VB wears hers although the shoes? Hmmm, not so sure. In the summer, chunky sandals and a lighter weight top or shirt would be good. So I definitely think that they have legs. The worst thing that will happen is that I will put them on, laugh loudly at myself, post a pic on Instagram so that everyone else can laugh too and take them back. But if you don’t try you never know. 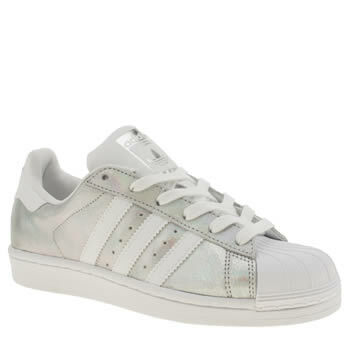 Now the one thing that I did manage to find me that fit yesterday were these Adidas superstar trainers from Schuh. Unlike the sparkly ones that I really loved, these are leather so I figured that they would be warmer. Again I’ve had my eye on them for a couple of weeks now and my Stan Smiths are looking a bit tired, plus if my husband will buy me a Fitbit for Christmas what does he expect? If I’m going to meet my targets I’ve got to have the right gear haven’t I? Previous Post The two most important questions to get your head around if you want to exercise for life….